Facing rapidly rising fees and special assessments costing them more than $1 million, dozens of condo owners at a complex in Thornhill, Ont., say they're taking steps to kick out their condo board, and a CBC News investigation shows they may have good reason to be frustrated. 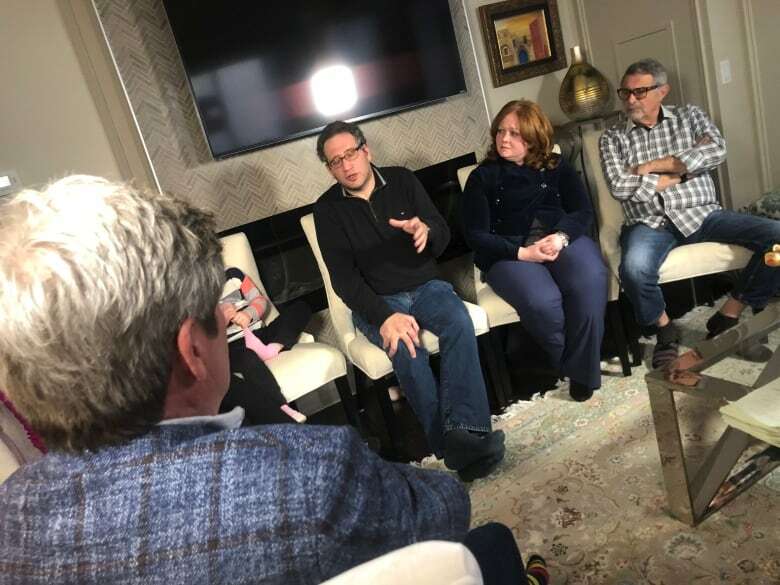 Facing rapidly rising fees and special assessments costing them more than $1 million, dozens of condo owners at a complex in Thornhill, Ont., say enough is enough, and they are taking steps to kick out their condo board. The latest issue at The Fountains, they say, came last month when their condo board hit them with a special assessment —-essentially a legal demand to fork over money. That demand amounts to $1 million, divided among the 497 owners in the complex. "I cried along with residents," said condo owner Fernada Cassano, who's taking part in the revolt against the board. 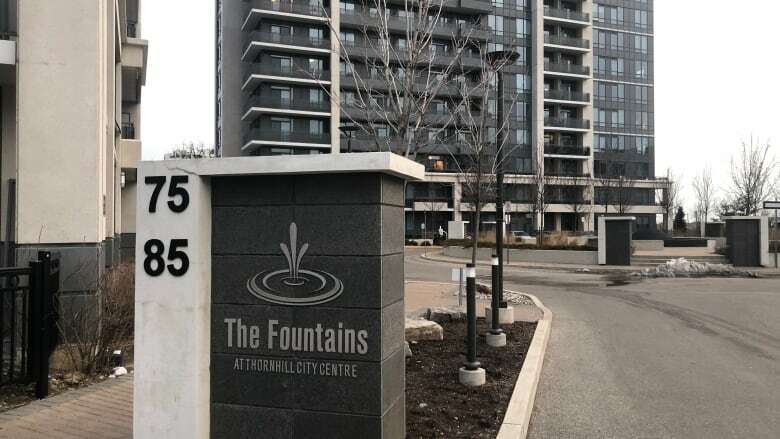 A CBC Toronto investigation into hundreds of pages of documents from The Fountains has found that Cassano and her fellow owners are dealing with an increasingly common problem facing thousands of Toronto-area condo residents. Many have previously come forward with allegations of uncooperative condo boards and questions about how their condos buildings are being run. It's the second time owners in the five-year-old complex on North Park Road have been hit with a special assessment. The first came three years ago, and cost them another $300,000 to help cover operating expenses. "Older people who are on a fixed income have no means of coming up with this money," Cassano told CBC Toronto. To make matters worse, she says, maintenance fees have also risen rapidly — by about 25 per cent in the past three years. Cassano pays about $900 monthly in maintenance fees and special assessments for a one-bedroom unit. She says this is almost as much as her mortgage. "At the end of the day, when you're a single mom and trying to take care of everything ... it's a lot of money that could be going into my pocket or my kids for things that I need to do, instead of the building. And I don't really know where the money is going," said Cassano. Condo law expert Audrey Loeb warns buying a condo is different than buying a house, and can come with unique challenges, especially because members of boards are volunteers — some with little experience running a condo corporation. "You're making a form of payment on a monthly basis to a group of volunteers to manage and administer your money. Some do it really, really well and some get caught up in problems," she said. The residents of The Fountains who are demanding changes say hundreds of thousands of dollars in service contracts signed by the board have been shrouded in secrecy, with poorly kept records. Alex Benchedrid says he still doesn't understand how or where the board is spending his money. His two bedroom condo now costs him about $1,650 in fees and assessments alone. "It's huge money. I'm a retired person, my wife too. I take a pension of $1,200, my wife another $1,200," he said. "It's very hard to finish the month. The reason I bought here was because it was a new building," he said about the rising costs. Stan Morris, who has been the condo board president at The Fountains since it was incorporated in 2014, says there's nothing amiss with the way the board is running the property. He blames the money problems on the fact the building's annual budget simply isn't enough to cover unexpected costs, such as flooding repairs, as well as insurance, utilities and minimum wage increases, among other things. The CBC investigation into the condo complex reveals that since 2014, the board has fired almost all of The Fountains' original contractors and replaced them with new ones. In many cases, relatively small contracts worth a few thousand dollars each were put out for tender and voted on by the board, according to board meeting minutes reviewed by CBC News. How some of the largest contracts, worth hundreds of thousands of dollars, were awarded is less clear. The minutes show the board fired the complex's management company in 2015 and replaced it with a new one — Duka Property Management. A month after starting work at The Fountains, Duka's property manager recommended the board hire a new waste contractor. The board awarded the contract to Eco Resource Management. CBC News has learned it's owned by the father of the condo's property manager. The board minutes make no mention of the connection, or whether all board members were told the contract — worth hundreds of thousands of dollars — was given to a company with family ties to their property manager. There's nothing illegal about that, but Loeb says the seeming lack of transparency may not reflect well on the board. However, Morris maintains there was nothing amiss with the process. "Regarding the contract awarded to Eco Resource Management, though it is not recorded in the minutes of the Board Meeting, but as far as I remember a full disclosure was made," wrote Morris in an email to CBC News. "They were offering a more competitive price," he added. The property manager who had family ties to Eco Resource Management is no longer working at The Fountains. In another meeting, in October 2015, the board agreed to spend $36,000 on a new garage door for the underground parking lot. A second quote came in at $5,000 less, according to board minutes. Morris and two others voted for the more expensive contract with Dodd's Doors. What the minutes don't reveal is that another of the condo board members —David Assis — was working for Dodd's. The minutes also don't show whether Assis recused himself from the meeting, as he was obligated to do. "As far as I recall, every board member knew about Mr. David Assis's relationship with Dodd Garage Doors," wrote Morris, adding the Dodd's door was of better quality and came with a longer warranty. "I do not recollect whether Mr. David Assis recused himself from the meeting, but I do recall that he did not participate in the discussion, deliberation and the voting process," Morris added. Loeb, the condo law expert, says at the very least, the board again fell short in documenting the process properly. "The minutes should say that he disclosed he left the room, and the vote was taken without him," she told CBC News. Loeb also says The Fountains' own governance by-laws require two board members to sign all contracts on behalf of the complex. Yet Morris appears to be the lone signatory on several of the most expensive contracts awarded by the board and reviewed by CBC News. "As far as I remember, most of the contracts were signed and executed by at least two directors where indicated on the documents," he added. Fed up with what they also call a poorly maintained building, dozens of condo owners have called for a requisition meeting — the first legal step in their effort to terminate the board. Some residents also want new legal representation for the condo corporation. At Morris's recommendation, the board hired Toronto lawyer Brian Horlick in 2014. Horlick is facing at least one formal complaint to the Law Society of Ontario in relation to allegations he is connected to a group of men accused of hijacking other condo boards to gain control of their multi-million-dollar budgets. Condo owners at the Five Condos in downtown Toronto claim Horlick and three men were part of an alleged "conspiracy." "Once the Conspirators are able to successfully capture seats on the board of directors of a condominium, they attain immediate and near unfettered access to multitudes of opportunities for misappropriation and self-dealing," the complaint reads. Horlick did not respond directly to multiple requests for comment. A spokesperson for his law firm, Horlick Levitt DiLella LLP also declined to answer specific questions about the law society complaint. "The suggestions being made are baseless and without merit," wrote spokesperson Danny Roth in an email to CBC News. "As it would be inappropriate to disclose privileged matters between a client and its legal counsel to the media or otherwise, we will have no further comment on this issue," he added about Horlick's work at the Fountains. The Law Society would not comment on the status of the complaint against Horlick. In a previous version of this story, CBC News noted it had reported Horlick's connection to a group of men accused of taking over other condo boards to gain control of their multi-million dollar budgets. To clarify, in previous reporting CBC News only identified Horlick as the lawyer who represented the board at 5 St. Joseph St. when it was controlled by those men.